Find a part from the percent and whole, a percent from the part and whole, or a whole from the part and percent using a graphic model. Original ExploreLearning Exploration Guide mad more student-friendly by adding answer blanks. Very easy to follow, except for ELL students. Translation needed ! Great visual use of the double bar graph, which is recommended by CCSS. I uploaded my revised SE, which is LD friendly. This Gizmo is a great virtual enhancement to integrate in percents lessons for most grades. 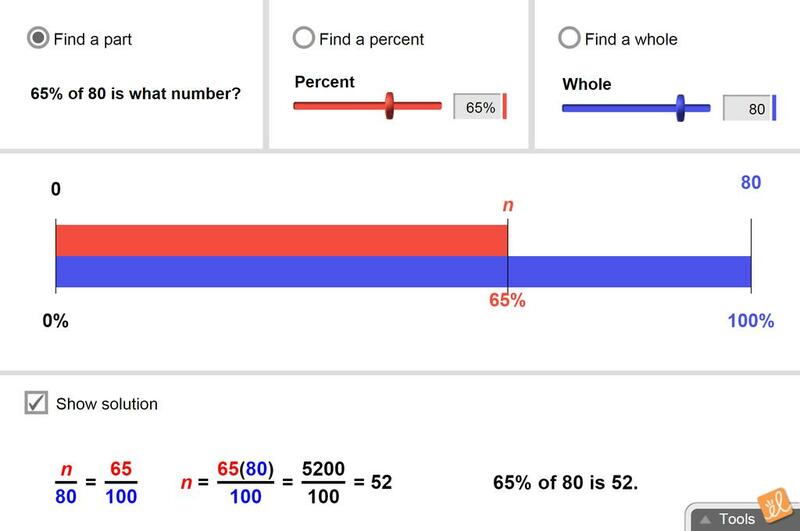 Excellent way to introduce, practice, and reinforce the relationship between fraction, decimals, and percents.